Yesterday morning was bitterly perfect. I woke up early to meet Miguel for coffee before class. We met at Plaza de Mayo, then took a long walk around Puerto Madero, the most upscale and modern side of Bs As. The port itself is beauuuutiful. 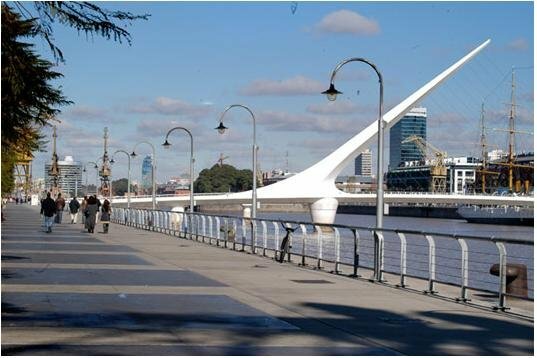 We walked across Puente de la Mujer which overlooks the Río de la Plata’s riverbank. Then we toured the beautiful ARA Presidente Sarmiento, a former naval ship named after Argentina’s 7th president. 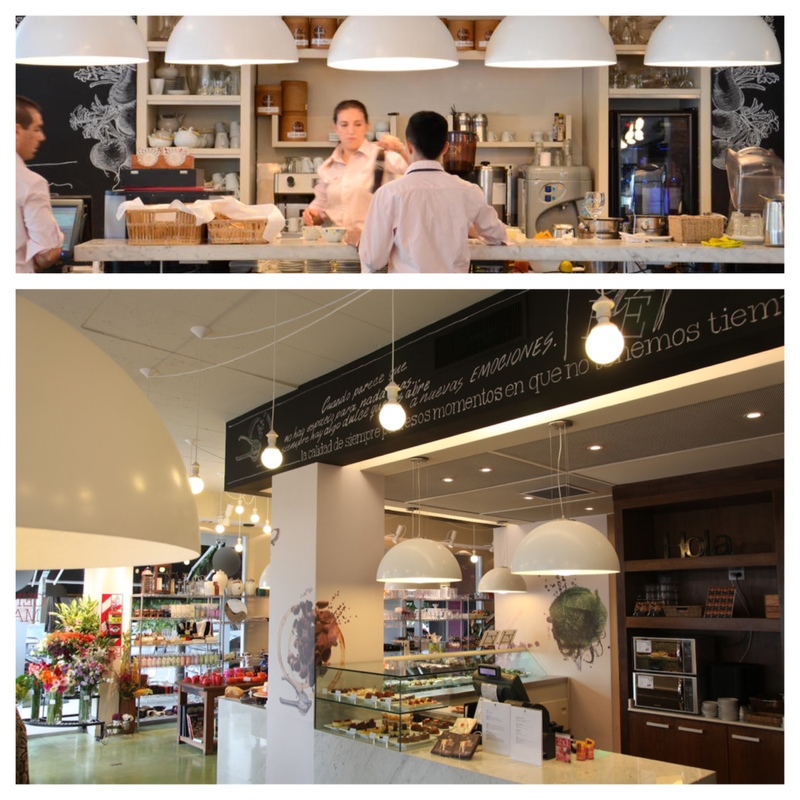 Finally, after covering much of Puerto Madero, Miguel navigated us over to i Central Market, an upscale market-café, to sip on some café con leches with our morning medialunas. Everything was so yum, as always here. 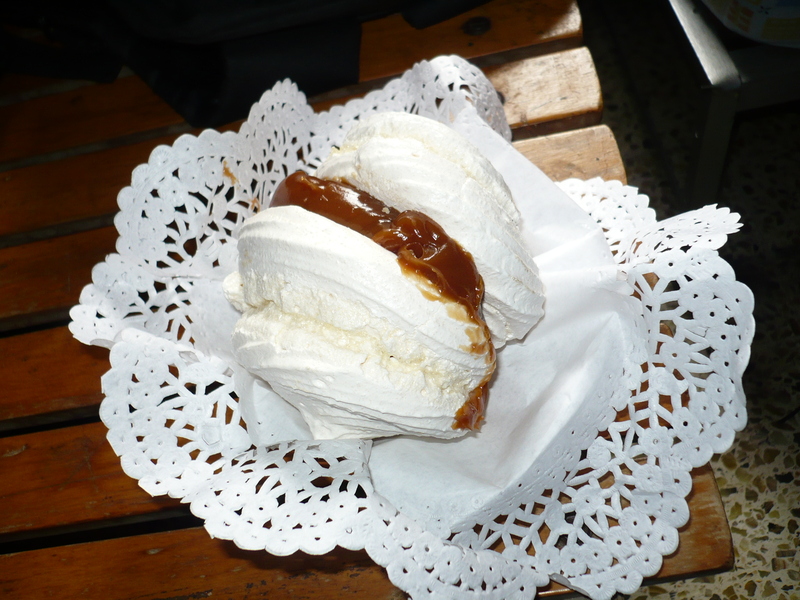 My favorite part (and I think it’s safe to safe it was Miguel’s favorite too) was the dulce de leche-filled meringues that accompanied our café. But then, after coffee and before class, I had to say “adios” para siempre to Miguel. He was leaving for vacation the next day, and I’ll be packing up for Peru by the time he comes back. As a going-away present, he gave me a CD from his band, addressed to “mi pequeña Americana”. All the music + lyrics on the CD are by him, and out of the 4 band members, he’s lead vocals and guitar.…..soooooo that was a shocker, cuz I didn’t even know he had a band (to be real, he probably told me in Spanish, and I was just smiling and nodding like I knew what he was talking about). I’ve already listened to the whole thing and it’s so GOOD! Anyways, I’d have to say that was a pretty cool experience, and I’ll miss hanging out with him these next 2 weeks. Hanging out with someone born and raised in Buenos Aires, who shares a love of traveling and exploring the world, and who always remained patient enough to deal with my sometimes-tragic Spanish. Plus, he took me to some really cool dates spots.